As a condition of your right to use the Digital Services, you represent that you are at least 13 years old and that you are not a person barred from visiting the Digital Services and accessing the Content under the laws of the United States or other country. TO THE FULLEST EXTENT PERMITTED BY LAW, OPUBCO, ITS RELATED ENTITIES, ITS CONTENT AND SERVICE PROVIDERS, ITS LICENSORS, AND ITS OR THEIR RESPECTIVE OFFICERS, DIRECTORS, EMPLOYEES OR AGENTS (COLLECTIVELY THE "OPUBCO PARTIES") EXPRESSLY DISCLAIM ALL WARRANTIES OF ANY KIND, WHETHER EXPRESS, IMPLIED OR STATUTORY, INCLUDING, BUT NOT LIMITED TO, ANY IMPLIED WARRANTIES OF MERCHANTABILITY, FITNESS FOR A PARTICULAR PURPOSE, TITLE, AND NON-INFRINGEMENT, WITH REGARD TO THE DIGITAL SERVICES. YOU UNDERSTAND AND AGREE THAT YOUR USE OF OUR DIGITAL SERVICES IS AT YOUR SOLE RISK. OUR DIGITAL SERVICES AND ALL CONTENT, PRODUCTS AND SERVICES OFFERED THROUGH THEM ARE PROVIDED ON AN "AS IS" AND "AS AVAILABLE" BASIS. THE OPUBCO PARTIES ARE NOT RESPONSIBLE FOR THE TIMELINESS OF DELIVERY OF CONTENT, ANY FAILURES OF DELIVERY, OR ERRONEOUS DELETION OR FAILURE TO STORE ANY OF YOUR PERSONAL SETTINGS OR COMMUNICATIONS, OR ANY LOSS OR DAMAGE OF ANY KIND YOU CLAIM WAS INCURRED AS A RESULT OF THE USE OF OUR DIGITAL SERVICES. UNDER NO CIRCUMSTANCES, WILL ANY OF THE OPUBCO PARTIES BE LIABLE TO YOU OR TO ANY PERSON OR ENTITY CLAIMING THROUGH YOU FOR ANY LOSS, INJURY, LIABILITY, DAMAGE OR DAMAGES ARISING OUT OF OR IN CONNECTION WITH YOUR ACCESS TO, USE OF, INABILITY TO USE, OR RELIANCE ON ANY OF OUR DIGITAL SERVICES OR ANY CONTENT, PRODUCT OR SERVICE PROVIDED TO YOU THROUGH OR IN CONNECTION WITH ANY OF OUR DIGITAL SERVICES. THIS IS A COMPREHENSIVE LIMITATION OF LIABILITY THAT APPLIES TO ALL LOSSES AND DAMAGES OF ANY KIND WHATSOEVER, WHETHER DIRECT OR INDIRECT, GENERAL, SPECIAL, INCIDENTAL, CONSEQUENTIAL, EXEMPLARY OR OTHERWISE, INCLUDING WITHOUT LIMITATION, LOSS OF DATA, GOODWILL, REVENUE OR PROFITS. THIS LIMITATION OF LIABILITY APPLIES WHETHER THE ALLEGED LIABILITY IS BASED ON CONTRACT, NEGLIGENCE, TORT, STRICT LIABILITY OR ANY OTHER BASIS; EVEN IF ANY OPUBCO PARTY HAS BEEN ADVISED OF OR SHOULD HAVE KNOWN OF THE POSSIBILITY OF SUCH DAMAGES; AND WITHOUT REGARD TO THE SUCCESS OR EFFECTIVENESS OF OTHER REMEDIES. IF ANY PART OF THIS LIMITATION OF LIABILITY IS FOUND TO BE INVALID, ILLEGAL OR UNENFORCEABLE FOR ANY REASON, THEN THE AGGREGATE LIABILITY OF THE OPUBCO PARTIES UNDER SUCH CIRCUMSTANCES TO YOU OR ANY PERSON OR ENTITY CLAIMING THROUGH YOU FOR LIABILITIES THAT OTHERWISE WOULD HAVE BEEN LIMITED WILL NOT EXCEED ONE HUNDRED U.S. DOLLARS. SOME JURISDICTIONS DO NOT ALLOW THE EXCLUSION OF CERTAIN WARRANTIES OR THE LIMITATION OR EXCLUSION OF LIABILITY FOR CERTAIN TYPES OF DAMAGES. ACCORDINGLY, SOME OF THE ABOVE DISCLAIMERS OF WARRANTIES AND LIMITATIONS OF LIABILITY MAY NOT APPLY TO YOU. If you wish to register on any of our Digital Services, you agree to provide accurate information about yourself as required by the applicable registration form, and you further agree that you will update such data to keep it accurate, current and complete. We reserve the right to suspend or terminate your use of our Digital Services if we discover, or if we have a reasonable basis to believe, that any of the data you have provided is inaccurate, incomplete or untrue. If you register on any of our Digital Services, you may not share your log-in details (e.g., username and password) with any other person or authorize any other person to log-in with your account. You are responsible for maintaining the confidentiality of your log-in details and you are fully responsible for all activities that occur under your account. You agree to notify us immediately of any known or suspected unauthorized use of your account or any other suspected breach of security. We cannot and will not be liable for any loss or damage arising from your failure to protect the confidentiality of your log-in data. 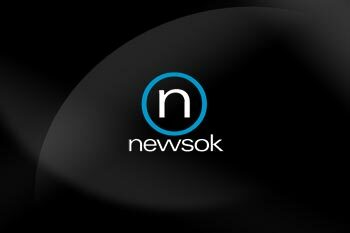 Our Digital Services include various features where users may submit their own Content, such as Content submitted through NewsOK.tv, self-reporting features, or user comments to news articles. Any Content uploaded, posted, submitted, or otherwise made available by individual users of our Digital Services, including without limitation submissions by contributors, descriptions of user-reported events, comments to articles, or any other content which does not originate with an OPUBCO Party ("User Content"), is the sole responsibility of the person who made such User Content available. Under no circumstances will any OPUBCO Party be liable in any way for any User Content made available through any of our Digital Services. Because we do not necessarily pre-screen, verify or review all User Content accessible on or through our Digital Services, we cannot and do not warrant and/or guarantee the truthfulness, integrity, suitability, or quality of that User Content. You also agree and understand that by accessing any of our Digital Services, you may encounter Content that you may consider to be objectionable. We have no responsibility for any User Content, including without limitation any errors or omissions therein. The OPUBCO Parties are not liable for any loss or damage of any kind you claim was incurred as a result of the use of any Content posted, e-mailed, transmitted or otherwise made available on our Digital Services, whether by any OPUBCO Parties, individual users of our Digital Services, or our third party contractors or licensors. In addition, you may not decompile, reverse engineer, reverse assemble or otherwise attempt to discover any source code. Furthermore, you may not use our Digital Services in any manner that could damage, disable, overburden, or impair the Digital Services, our servers or other OPUBCO services (e.g., you may not access the Digital Services in an automated manner by use of "spiders", "robots" or otherwise), nor may you use the Digital Services in any manner that could interfere with any other party’s use and enjoyment of the Digital Services. You are not permitted to retrieve and store in electronic or any other form any material part of the databases underlying the Services. All commercial and/or unauthorized use of the Digital Services is strictly prohibited. You agree not to use or resell any Content for any commercial purpose, including, but not limited to, sending unsolicited commercial messages. We reserve the right (but have no obligation) in our sole discretion to pre-screen, edit, refuse, move or remove any Content that is posted on or available through our Digital Services. You agree that our exercise of such discretion will not convert or transform User Content to Content owned or provided by OPUBCO, and the user who made such User Content available will retain ownership thereof as described below. If any User Content is your original work, then you own the copyright in that work. We do not claim any copyrights in original works created and/or made available by individual visitors to our Digital Services. However, by uploading, posting, transmitting or otherwise making any User Content available on or through a Site, you are granting OPUBCO, and our related entities, an irrevocable, nonexclusive, royalty-free license to copy, modify, publish, distribute publicly, and prepare derivative works of such User Content in any medium or format without any obligation of notice, attribution or compensation to you. We welcome your feedback regarding our Digital Services. All information and materials submitted to OPUBCO, such as any feedback, ideas, questions, proposed features or the like regarding or relating to a Digital Service or the business of OPUBCO or its related entities (collectively, "Feedback"), will be considered non-confidential and non-proprietary with regard to you, but we reserve the right to treat any such Feedback as the confidential information of OPUBCO. By submitting Feedback to OPUBCO, you assign to OPUBCO, free of charge, a perpetual, irrevocable, worldwide license to create derivative works, distribute, reproduce, perform, display, and otherwise use, any intellectual property rights or proprietary information and ideas contained within any such Feedback, including without limitation the right to sublicense or assign any of the foregoing. We will be entitled to use any Feedback you submit to us, and any ideas, concepts, know-how or techniques contained in any such Feedback, for any purpose whatsoever, including but not limited to developing and marketing products and services using such Feedback without restriction and without notifying or compensating you in any way. Please do not send us any information or materials for which you do not wish to grant us such rights, including, without limitation, any confidential information or any original creative materials such as product ideas, written materials, photographs, original artwork, or computer code. You are responsible for the information and other Content contained in any Feedback you submit to us, including, without limitation, their truthfulness and accuracy. The Digital Services offer interactive areas for you to buy, sell and advertise items, real property, services and employment opportunities through classified advertisements or other forms of advertisements ("Classified Ad"). OPUBCO is never a party to any transaction between buyers and sellers. As a result, OPUBCO does not (i) guarantee any transaction between a buyer and seller, (ii) collect or process payment or transfer of title on behalf of buyers or sellers, or (iii) store, ship or deliver any items or vehicles. OPUBCO is not obligated to publish a Classified Ad and can discontinue publication of a Classified Ad at any time. OPUBCO accepts no liability for error or omission with respect to a Classified Ad or your use of a Classified Ad. OPUBCO reserve the right to edit, reclassify, revise, reject, or cancel any Classified Ad at any time, in our sole discretion. All Classified Ads are subject in all respects to our current rules and policies, including any rules and policies pertaining to paid and free Classified Ad services available through our Digital Services, and current demands upon advertising space. Please be sure to review all applicable rules, regulations and policies pertaining to submission of a Classified Ad. Rates, rules, regulations and policies for Classified Ads are subject to change. OPUBCO does not knowingly accept advertising that discriminates or intends to discriminate based on race, color, religion, gender, national origin, handicap or familial status. We do not knowingly accept advertisements regarding employment that are not ads for bona fide job opportunities. You agree that you will not submit to us for publication, and we will not knowingly publish, any Classified Ad that states any preference, limitation, or discrimination on the basis of race, color, religion, gender, disability, handicap, familial status, or national origin in violation of federal and state laws. Some of the Content, services and features on our Digital Services, including without limitation User Content, may be provided by or obtained from third parties. We make no representations or warranties as to the accuracy or reliability of any Content or features on our Digital Services created or provided by third parties, or with regard to any product or service provided or offered by any third party on the Digital Services (including without limitation advertisers on the Digital Services) and you acknowledge that any reliance on representations and warranties provided by any party other than OPUBCO will be at your own risk. You expressly agree to hold the OPUBCO Parties harmless for any claims of damage arising from any Content, product or service provided by any third party. With the exception of User Content (in which end-users retain the copyrights in their own postings, unless such postings are made pursuant to separate terms and conditions to which the user has agreed), copyrights and other intellectual property rights in the Content available on our Digital Services, including without limitation the Digital Service’s design, text, graphics, interfaces, and the selection and arrangements thereof, are owned by OPUBCO, with all rights reserved, or in some cases may be licensed to OPUBCO by third parties. This Content is protected by the intellectual property rights of OPUBCO or those owners. All Content which qualifies for protection under Federal Copyright Law under the laws of the United States is subject to the exclusive jurisdiction of the Federal Court System, whether registered or unregistered. Based on the presence of this notice of copyright ownership, any infringement of the protected Content of this Digital Service will be deemed by OPUBCO to be an intentional infringement. All trademarks displayed on the Digital Service are the trademarks of their respective owners, and constitute neither an endorsement nor a recommendation of such parties. In addition, such use of trademarks or links to the web sites of third parties is not intended to imply, directly or indirectly, that those third parties endorse or have any affiliation with OPUBCO. Any use of Content on the Digital Services, including without limitation reproduction for purposes other than those noted herein, modification, distribution, replication, any form of data extraction or data mining, or other commercial exploitation of any kind, without prior written permission of an authorized officer of OPUBCO, is strictly prohibited. With the exception of search engines, you agree that you will not use any robot, spider, or other automatic device, or manual process to monitor or copy our web pages or the Content contained therein without prior written permission of an authorized officer of OPUBCO. You may use the Content solely for your personal, non-commercial use, except as described herein. You may download or print a single copy of any portion of the Content solely for your personal, non-commercial use, provided you do not remove any trademark, copyright or other notice from such Content. You may not make any use of Content owned by any third parties which is available on the Site, without the express consent of those third parties. You are hereby licensed to create hyperlinks to Content on the Digital Services, provided that the hyperlink accurately describes the Content to which it links on the Digital Services. In addition, individuals and non-commercial organizations are hereby granted a license to implement the RSS feeds offered by our Digital Services. If you wish to inquire about use of the RSS feeds on a commercial website, please contact us at NEWSOKTCS@OPUBCO.com. When you include links to a Digital Service on your website (including RSS feeds) when the link is clicked, the applicable page within our Digital Service must be displayed in full (including all trademarks, branding, advertising and promotional materials), without any accompanying frame, border, margin, design, branding, trademark, advertising, or promotional materials not originally displayed on the page within the Site, and without any interstitial pop-ups or web pages loading before the applicable target page is accessed. The page on which such feeds or links are featured must be accessible to the general public and not provided through a subscription service or for a fee, unless otherwise expressly agreed in writing by OPUBCO. Under no circumstances may you "frame" the Digital Service or any of its Content or copy portions of the Digital Service to a server, except as part of an Internet service provider's incidental caching of pages. OPUBCO reserves the right to revoke these licenses generally, or your right to use specific links or RSS feeds, at any time, with or without cause. Please send your notice of alleged infringement to: Attn: Content, OPUBCO, P.O. Box 25125, Oklahoma City, OK 73125 or E-mail: Alan Herzberger, Vice President of Audience Development, at aherzberger@oklahoman.com or Scott Briggs, Chief Operating Officer, at sbriggs@oklahoman.com. In accordance with the Digital Millennium Copyright Act ("DMCA"), it is the policy of OPUBCO to terminate use of our Digital Services by repeat infringers in appropriate circumstances. The following provision applies to all visitors (which shall include persons and representatives of legal entities, whether such representatives are persons or digital engines of a kind that crawls, indexes, scrapes, copies, stores or transmits digital content). By accessing any Digital Service, you specifically acknowledge and agree that: (i) Associated Press text, photo, graphic, audio and/or video material shall not be published, broadcast, rewritten for broadcast or publication or redistributed directly or indirectly in any medium; (ii) No Associated Press materials nor any portion thereof may be stored in a computer except for personal and non-commercial use; (iii) The Associated Press will not be held liable for any delays, inaccuracies, errors or omissions therefrom or in the transmission or delivery of all or any part thereof or for any damages arising from any of the foregoing; (iv) The Associated Press is an intended third party beneficiary of these terms and conditions and it may exercise all rights and remedies available to it; and (v) The Associated Press reserves the right to audit possible unauthorized commercial use of AP materials or any portion thereof at any time. You are solely responsible for any User Content you may post to our Digital Services and any disputes you may encounter with other users of our Digital Services as a result of such contributions or otherwise. We have no obligation to become involved in, or to resolve, any disputes between users of our Digital Services (whether Content contributors or other users). However, we reserve the right to take any actions we deems appropriate with regard to such disputes. This agreement is between you and OPUBCO, and not Apple Inc. OPUBCO is solely responsible for the licensed App and the content thereof. OPUBCO is solely responsible for all maintenance and support services for the App. Apple Inc. is in no way responsible for these services. OPUBCO, not Apple Inc., is responsible for addressing any claims relating to the App and a user’s possession or use of the App, including, but not limited to, (i) product liability claims; (ii) any claim that the App fails to conform to any applicable legal or regulatory requirement; and (iii) claims arising under consumer protection or similar legislation. In the event of a third party’s claim of intellectual property right infringement relating to the App or a user’s possession or use of the App, OPUBCO, not Apple Inc., is solely responsible for the investigation, defense, settlement and discharge of that intellectual property infringement claim. You represent and warrant that you are not located in a country subject to a U.S. Government embargo, or has been designated by the U.S. as a "terrorist supporting" country; and you are not listed on any U.S. Government list of prohibited or restricted parties.